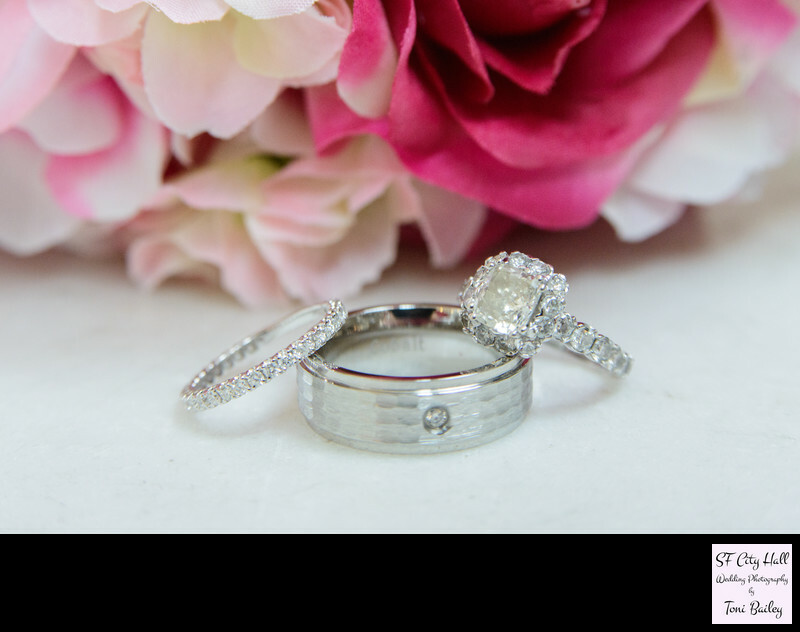 Brides often love to have their rings photographed. In San Francisco City Hall the best place for the iconic ring shot is on the forth floor. The fourth floor is the perfect spot because of all the natural light that filters in through the large window. Toni will actually set your rings down, arrange them, and then place the bouquet behind them for the photo. This bouquet was composed of varying shades of pink and white. San Francisco City Hall is a beautiful wedding venue where in addition to bride and groom photos, you can get that perfect ring photograph!